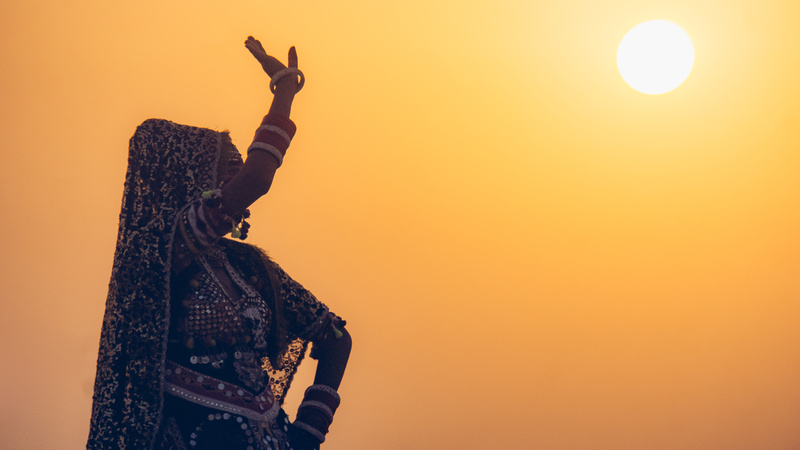 Join us for a soul-enriching whirlwind tour through spectacular India. 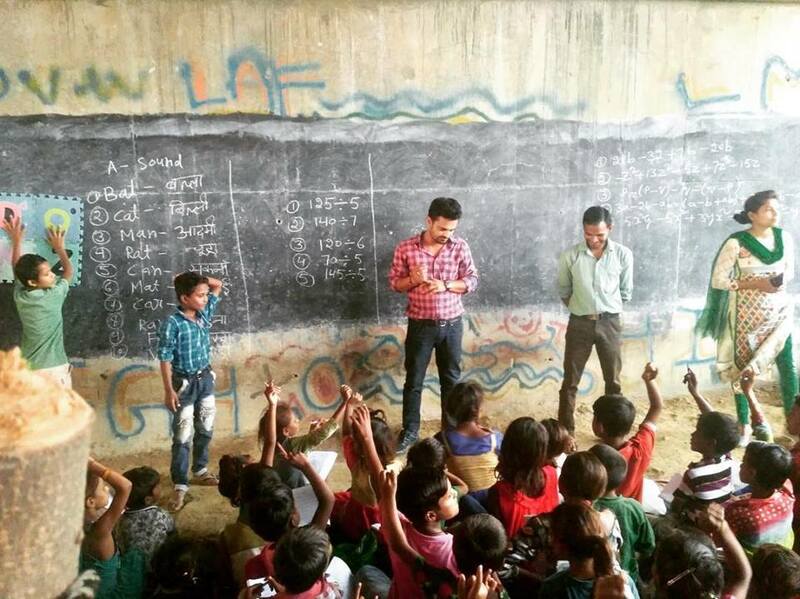 All funds raised through this tour will assist our exceptional team in Delhi to create life-changing opportunities for families living in Kalyanpuri Slum to raise their children to be vibrant, thriving and connected to family, community and opportunity. Your holiday with us will help get kids healthy and into mainstream schools, while living in safe and secure housing with their families. Included: 7 nights twin share accommodation in hotels; included meals (7x breakfast, 6x lunch, 7x dinner); transport & activities (includes entrance/admission fees where applicable) per Daily Itinerary; arrival and departure airport transfers are included on a group basis; English speaking leader throughout. Excluded: International flights; any required visas; services, meals and drinks not mentioned in Daily Itinerary; late check out; drinks with included lunches and dinners; tips for leaders, guide and driver; personal expenditure; personal insurance; optional activities. Welcome to India! 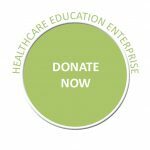 Ease your way in by spending time at the Garden of 5 Senses then we see how your financial support is hard at work providing for children. We will learn more about the Brighter Futures Study Centres and meet the projectHELP team. Dress comfortably and be prepared for dancing – there’s always dancing! This afternoon we will be heading into Old Delhi by rickshaw. This experience is quintessential Delhi with dinner somewhere lost in the paths and byways of the ancient bazaar. We will sleep well tonight. 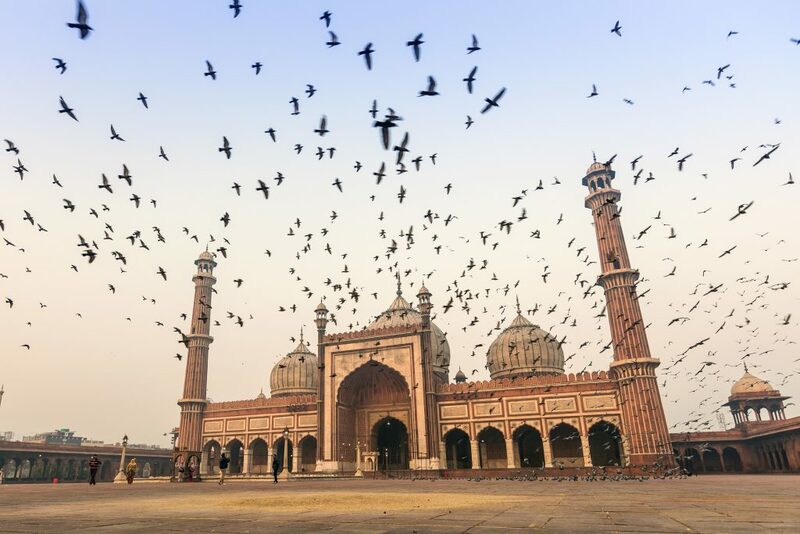 Today we visit the magnificent fortified ancient City of Victory Fatehpur Sikri, the short-lived capital of the Mughal Empire between 1572 and 1585. We will also have a wander around the rural traditional Hindi village of Korai. Lunch will be pretty special at Sheroes Hangout – a social enterprise in aid of women’s rights. 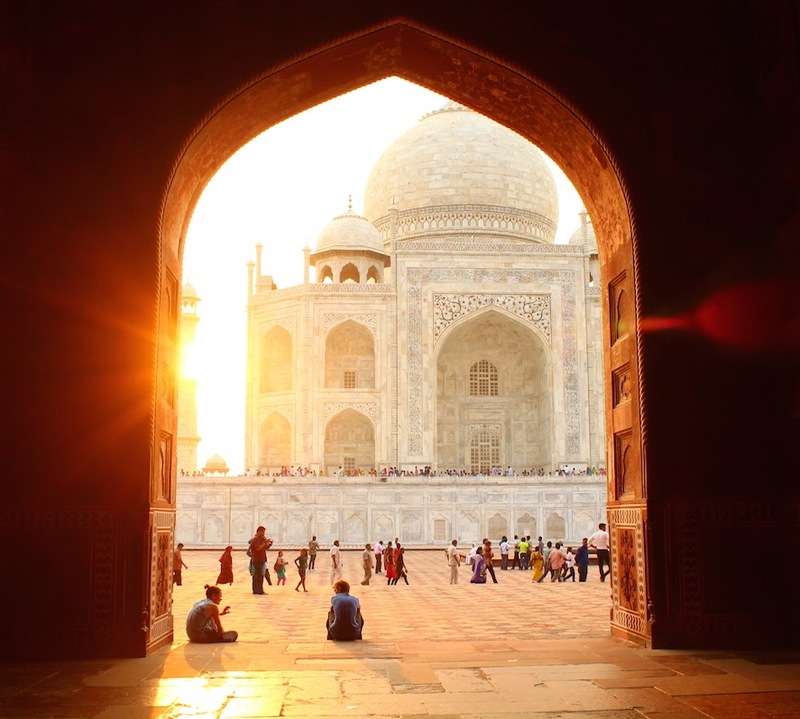 Then we will have some free time before visiting the Taj Mahal at sunset and catch the light & sound show. 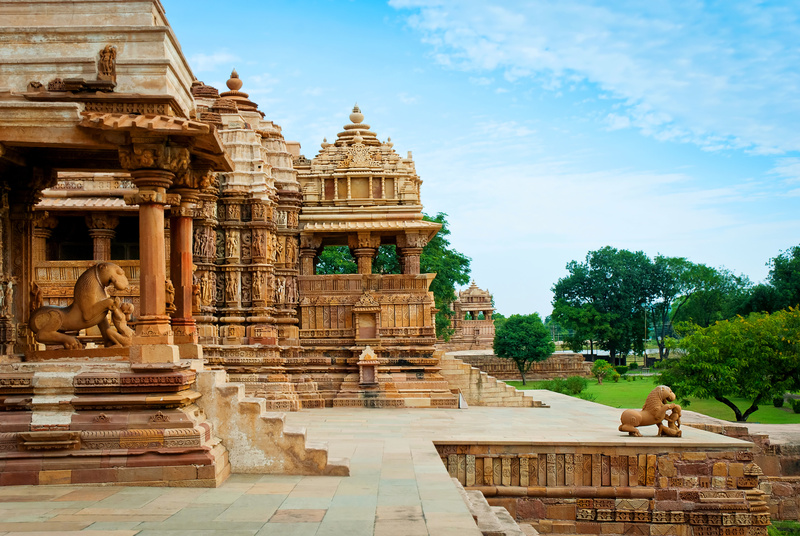 Khajuraho is home to one of the oldest UNESCO World Heritage Sites in India, the temples have a rich display of intricately carved sacred sculptures. We will be staying at a beautiful hotel with poolside temple views. You can book spa treatments and enjoy cocktails by the pool… before taking the night train to Varanasi. There’s nothing more welcoming than a delicious home-cooked meal when you arrive in a new city! Social entrepreneur and pedal-powered hero Matt Brice will welcome us to his gorgeous Terracotta Café for gastronomic delights to excite all of your senses. Enjoy some free time in this holy city before meeting up again for a sunset feast on the river. This will be a magical time for reflection, setting intentions and sending blessings where your heart desires. 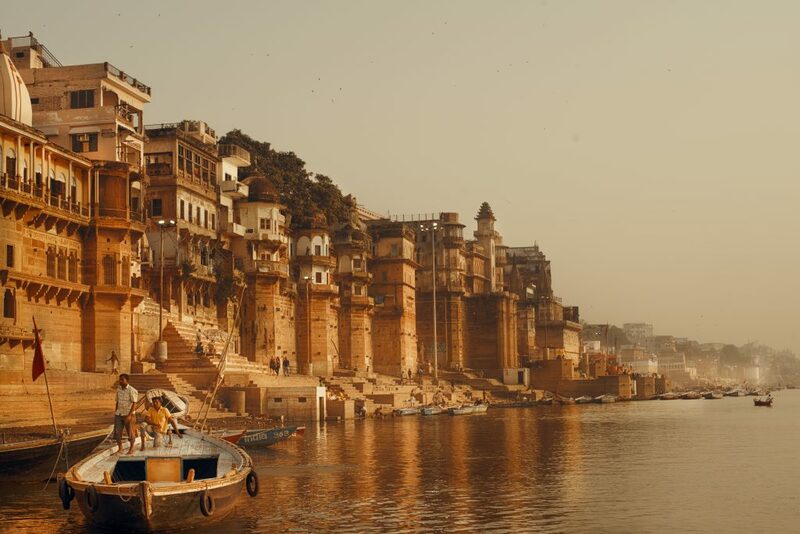 Let us begin the day with a sunrise boat cruise to the majestic Brijama Palace for sumptuous breakfast on the rooftop overlooking the serene Ganges. Then we walk back via the flower markets. Perhaps we’ll have time to stop by the famous Blue Lassi Shop and check their well-deserved reputation for serving up Varanasi’s freshest, creamiest, fruit-filled lassis for over ninety years! 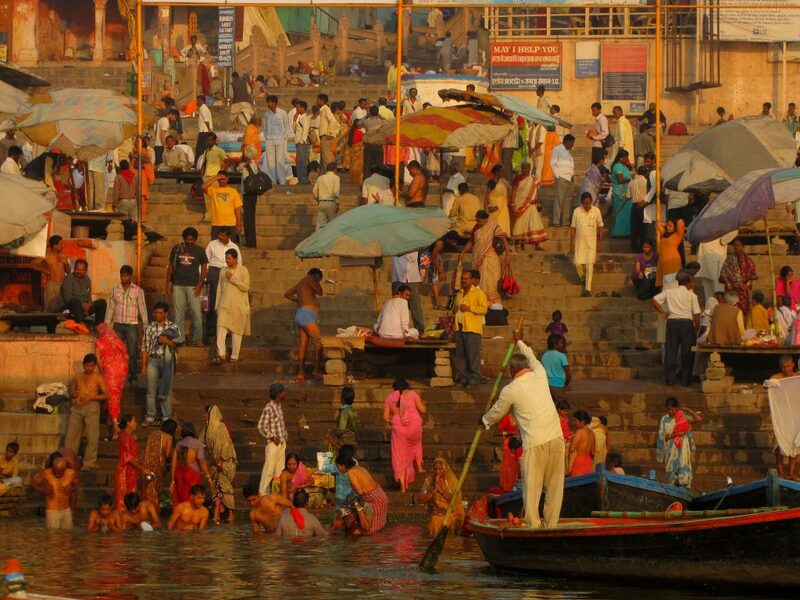 Today you can soak in all the pleasures of Varanasi. 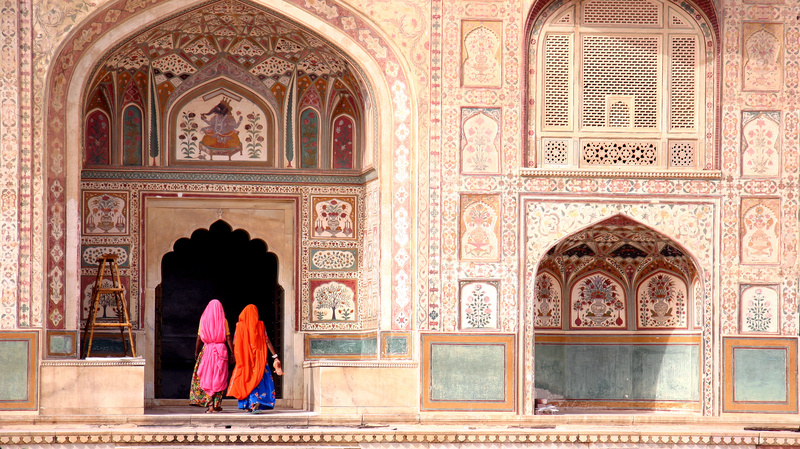 This afternoon we fly to Jaipur and check in to our divine accommodation. You’ll love this place! After a yummy brunch we will check out Jaipur’s Janta Manta to see the world’s largest stone sundial Vrihat Samrat. 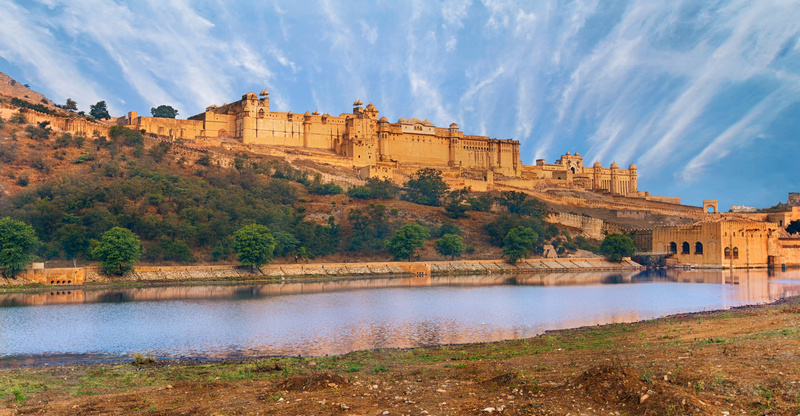 Then we will hit the road and visit some gorgeous places just outside of Jaipur: Galtaji Temple; Amer Fort; Sisodia Ra Ka Bagh; and Chand Baori. We’ll also see if we can catch a Bollywood movie at meringue-shaped late art deco cinema Raj Mandir built in 1976. Wake early for a brisk walk to stand in awe of Hawa Mahal constructed of red and pink sandstone, lit with the golden light of sunrise before breakfast. 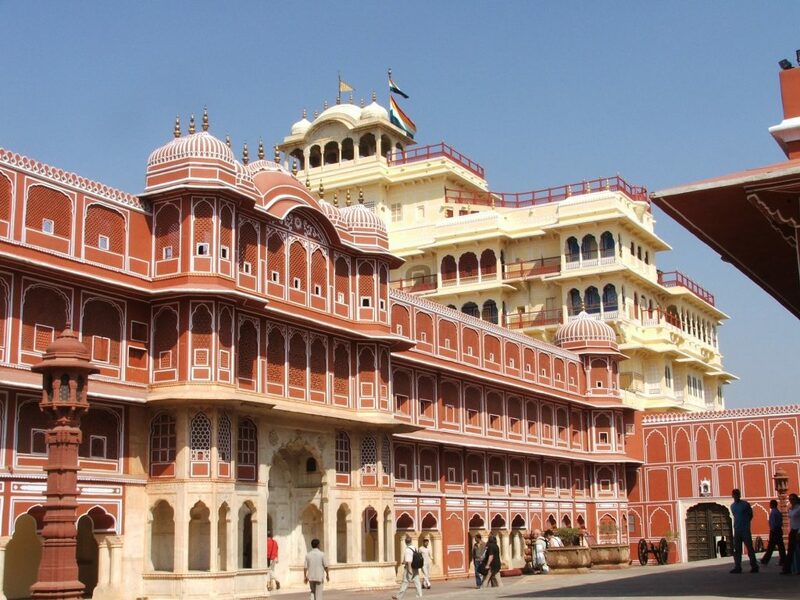 After breakfast wander into the heart of Jaipur city to experience the extraordinary architecture of several palaces, pavilions, gardens and temples. Enjoy exhibits of exquisite miniature paintings, ancient texts, embroidered rugs, Kashmir shawls and carpets. Enjoy an afternoon of rest and relaxation, perhaps a massage or Ayurveda treatment balancing mind, body and spirit. 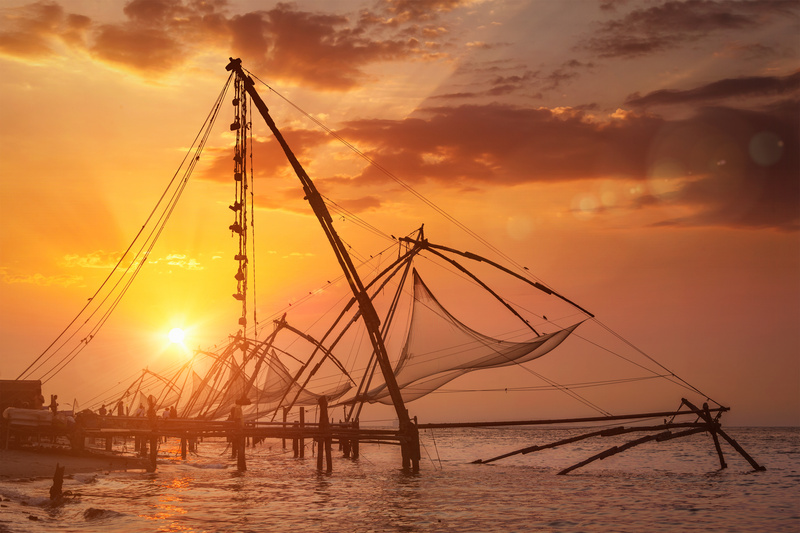 This evening we fly to Kochi, our final destination! 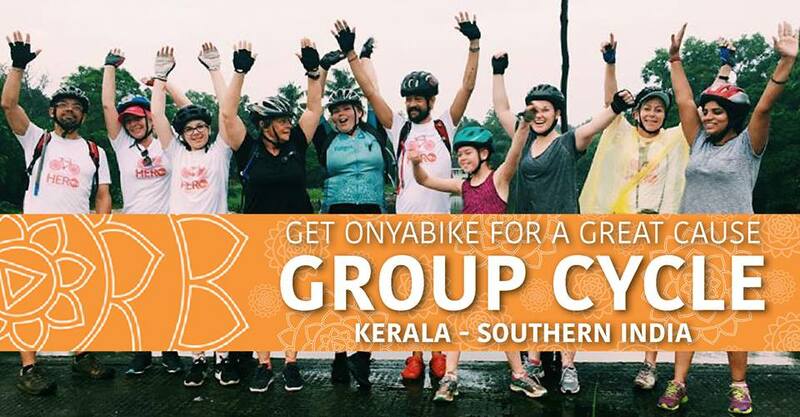 If you’re keen to join us for our annual Cycle for Brighter Futures, Kochi is where that fun begins!! *Timing & inclusions subject to change. Also, we are more than happy to consider special requests including shorter options for those who have signed up for 2019 Cycle for Brighter Futures. Or returning to Delhi instead of flying to Kochi. Start a conversation with us today!